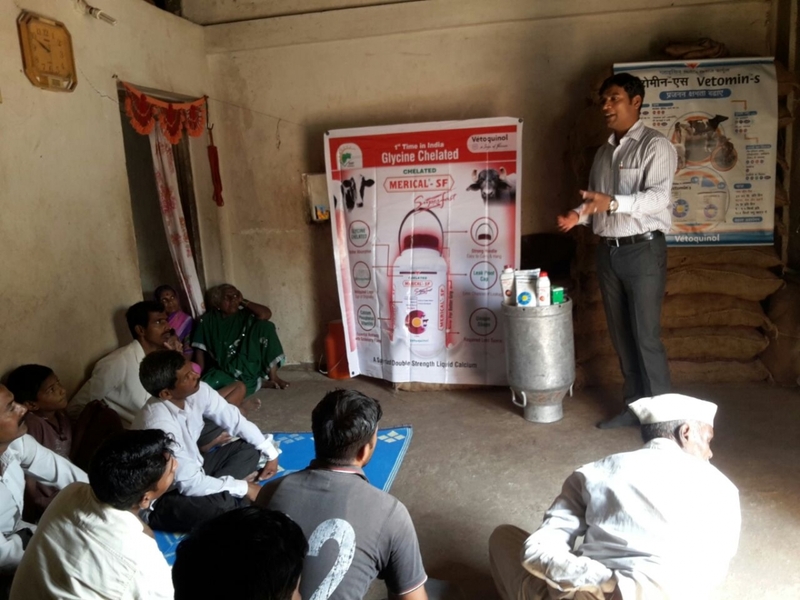 Vetoquinol believes on creating awareness amongst Dairy & Poultry farmers by conducting farmers meeting. 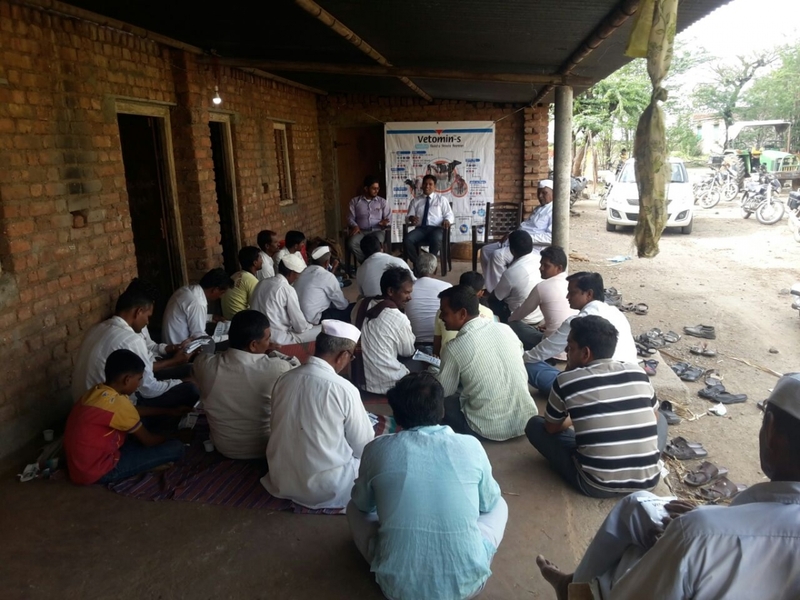 Vetoquinol India conducts farmers meeting with progressive farmers and discuss major challenges faced by them and try to provide possible solutions. Presently farmers are facing a lot of challenges with regards to the performance and profitability of the farms. Vetoquinol have good product range to suit the need of Dairy & Poultry farmers. Topics of discussion in the meeting are mainly related to challenges such as Nutritional deficiency VS requirements, Farm hygiene and reproductive efficiency. We also develop inputs in vernacular languages which are easy to understood by the farmers. Many brand promotion campaigns are executed through farmers in rural market.